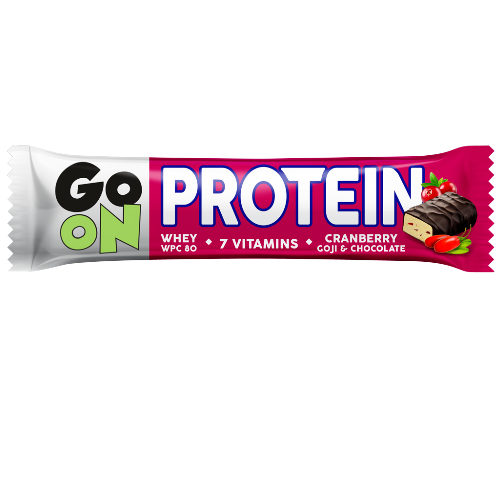 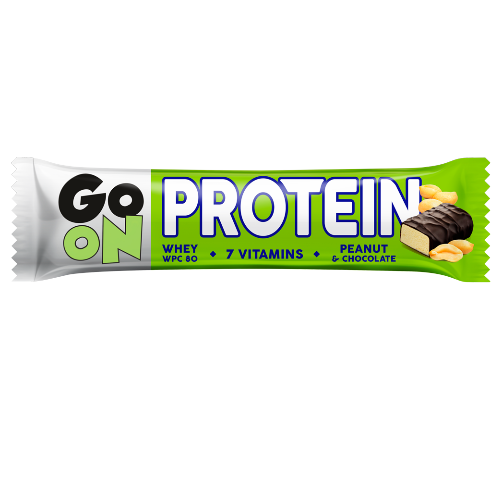 GO ON protein bar is a protein snack which you can enjoy either during or after your exercise, and in any time of an actively spent day. 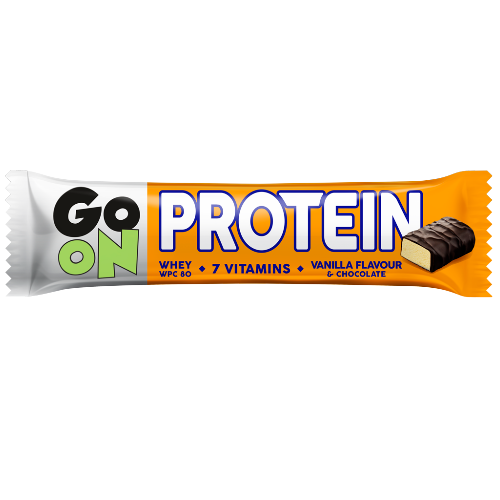 GO ON – always forwards! 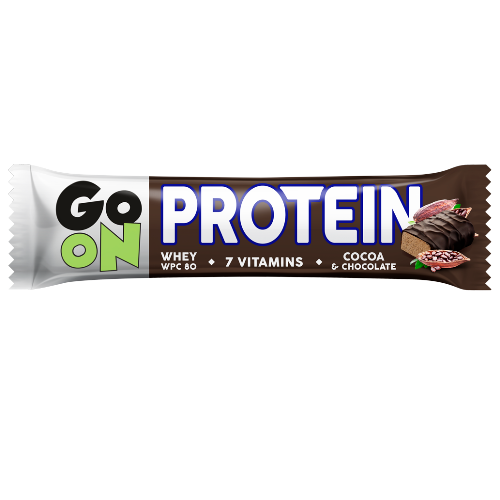 Chocolate 25% (cocoa mass, sugar, cocoa butter, emulsifiers: lecithins (soy), E492; natural vanilla flavouring), whey protein concentrate WPC 80 (milk) 23,7%, glucose syrup, inulin, non-hydrogenated palm fat, firming agent: maltitols; sweetened dried cranberry 3% (cranberry, cane sugar, rice flour, sunflower oil); humectant: sorbitols; dried goji berries 1,5%, enriching substances: magnesium citrate, vitamin C, niacin, vitamin E, pantothenic acid (B5), vitamin B6, thiamin (B1), vitamin B12; emulsifier: lecithins (soy); flavouring.